with Nathan Clemente, Henry Jeong, and Olivier Champagne Food is often an overlooked topic by many historians; indeed, for something that we can’t live without, many people take it for granted. Have you ever wondered how your favourite dishes came into being? Or how certain foods and ingredients have moved around the world? This podcast will discuss the history of the South African dish Bunny Chow, and in turn examine the larger picture of food mobility. Bunny Chow, a dish with local form of curry inside carved loaf of bread, is a reflection of transcultural fusion that occurs when a diasporic community meets the host community and its peoples. It is a reflection of necessary measures taken to get around the issues posed during the Apartheid,and also the symbol of solidarity among labourers of Indian and African backgrounds. with Fayed Gaya This episode contextualizes the work of Canadian artist Tau Lewis. with Christina Anderson, Olivia Marve, and Lara Kahn This podcast mobilizes Warsan Shire’s book of poems titled “Teaching my Mother How to Give Birth” to explore how diasporic belonging intersects with her experiences of gender, race, and sexuality as a first-generation immigrant from Somalia. We begin with an overview of Shire’s personal background with migration and delve into how these experiences of becoming a diasporic subject influence her writing. 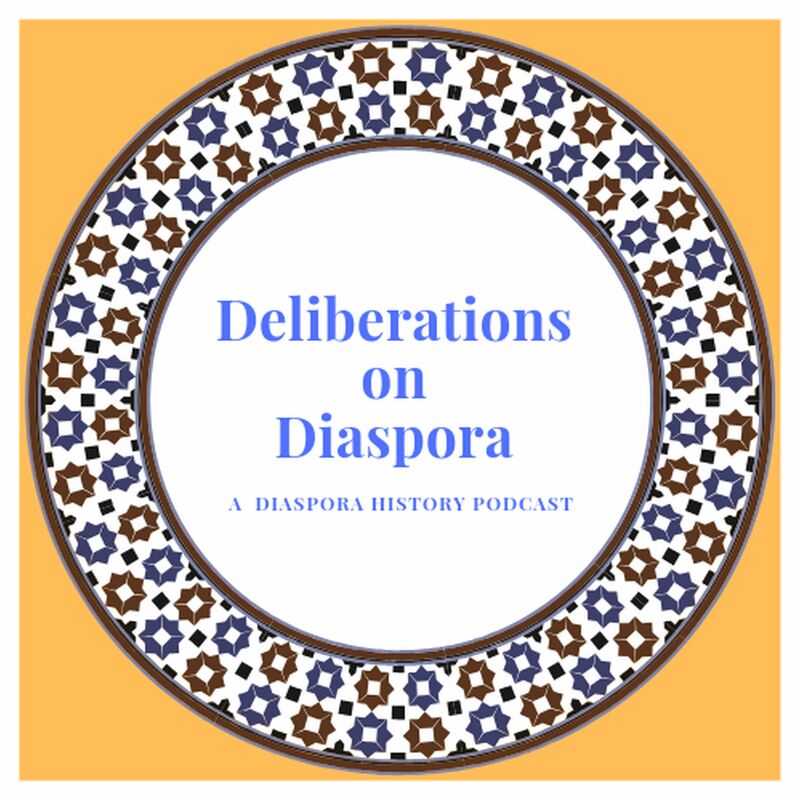 From there, we discuss the meaning of diaspora and how we are able to use this understanding as an analytical tool for reading Shire’s work and uncovering her diasporic subjectivity. We use this foundation to inform our individual analysis of her poems “Fire,” “Birds,” and “Conversations About Home,” and invite listeners to explore our own personal reactions to these works. In sum, this podcast explores the gendered nature of diaspora and exposes how Warsan Shire’struth about the nature of violence in war and her struggles with assimilation represent a particular articulation of diasporic experience. with Bronte McMaster, IanMichalek, and Sarah Prowten Our podcast discusses Joy Kogawa’s collection of poems from her book “The Splintered Moon.” This episode explores Kogowa’s background and the history of Japanese-Canadian internment in Canada, while ultimately relating these topics to the content of her poems and our interpretations. We analyze four poems int his collection: Righteous Cleansing, I Know Who I Am, Communication, and We Had Not Seen It. In these poems, underlying themes of trauma, racism, and societal exclusion link numerous narratives relating to the larger study of diaspora. We touch on Canada’s hierarchical social system and show how the government reflected these values during Japanese-Canadian internment.Moreover, we examine how Kogowa’s writings serve as a form of activism and positive change moving forward, especially given the Canadian government’s offers of reconciliation in recent decades.